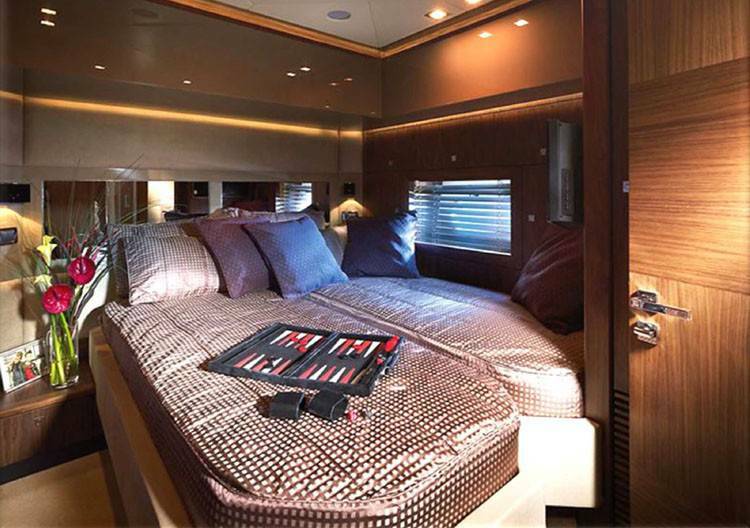 It is an open-style yacht but with a small flybridge with command post and a couple of hammocks. 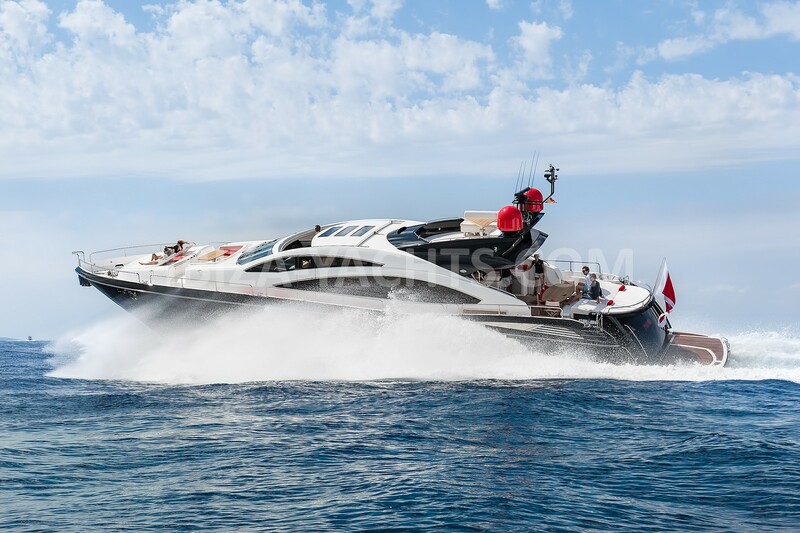 Yacht with modern lines, very sporty and aggressive while elegant and powerful. Its navigation is elegant, fast and powerful. 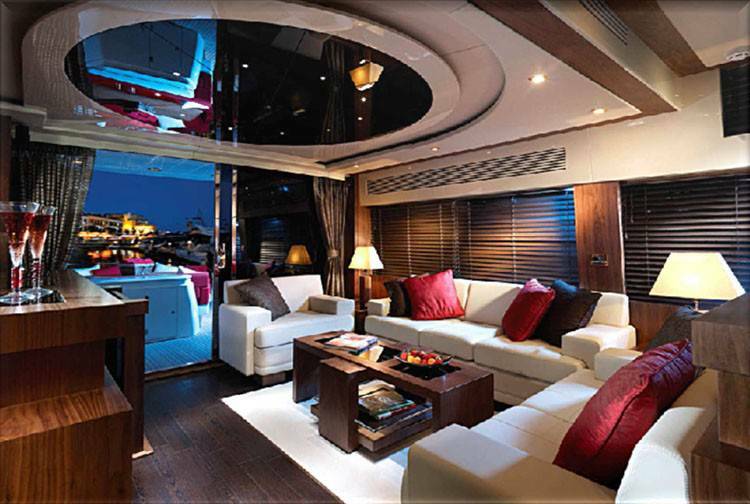 Its interior, of design, is modern and modern. 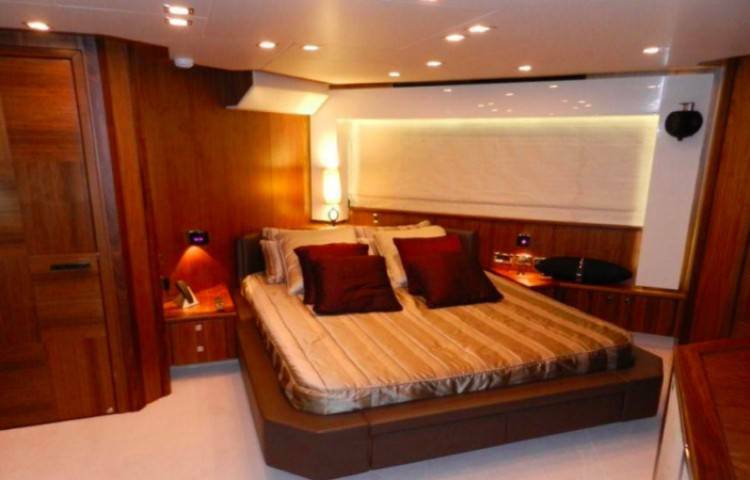 Predator 92 is very spacious with a huge roominess and comfort. Predominantly medium-dark wood tones, reds, blacks and whites. 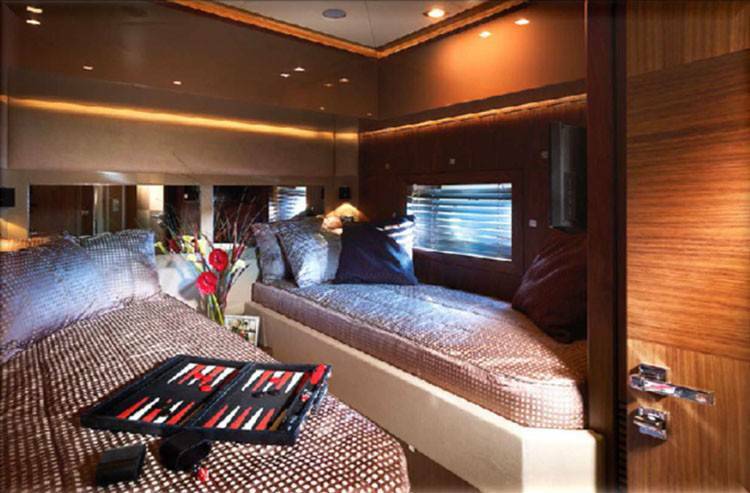 It offers a large living room fully equipped with the latest equipment and a dining area for 10 people. It has 2 tables that, combined with each other, allow to receive between 10 and 12 people. 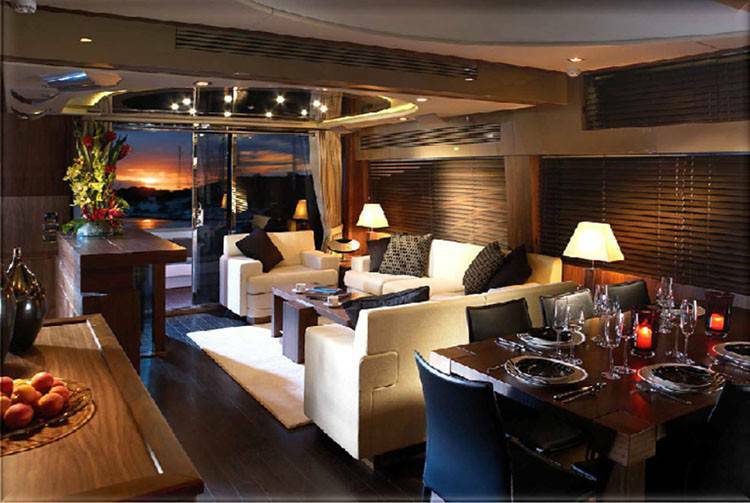 Its capacity during the day is 12 guests, and 8 guests during the night in 4 spacious cabins. 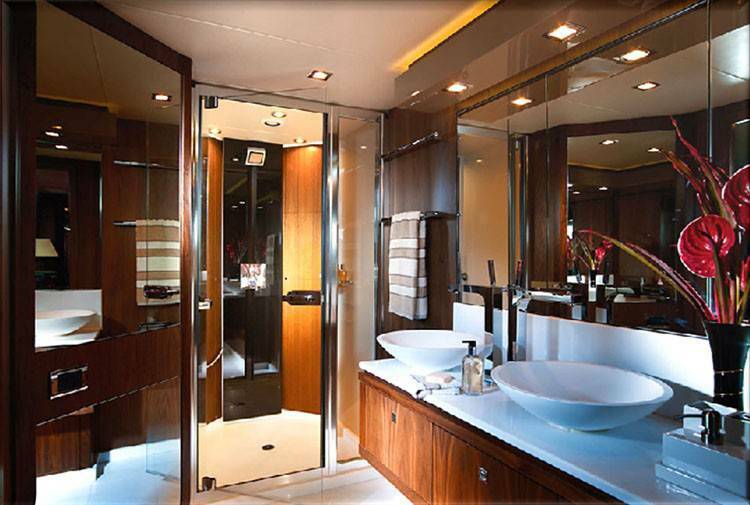 A master cabin with private bathroom, a VIP cabin with private bathroom, and 2 twin cabins with 2 single beds + 1 pullman bed.